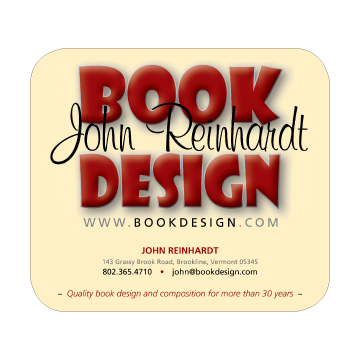 Get your very own “John Reinhardt Book Design” MOUSEPAD! It’s the perfect way to keep my contact information at your fingertips -- whenever you need anything, I am there for you. Simply write to and ask for your free mousepad!